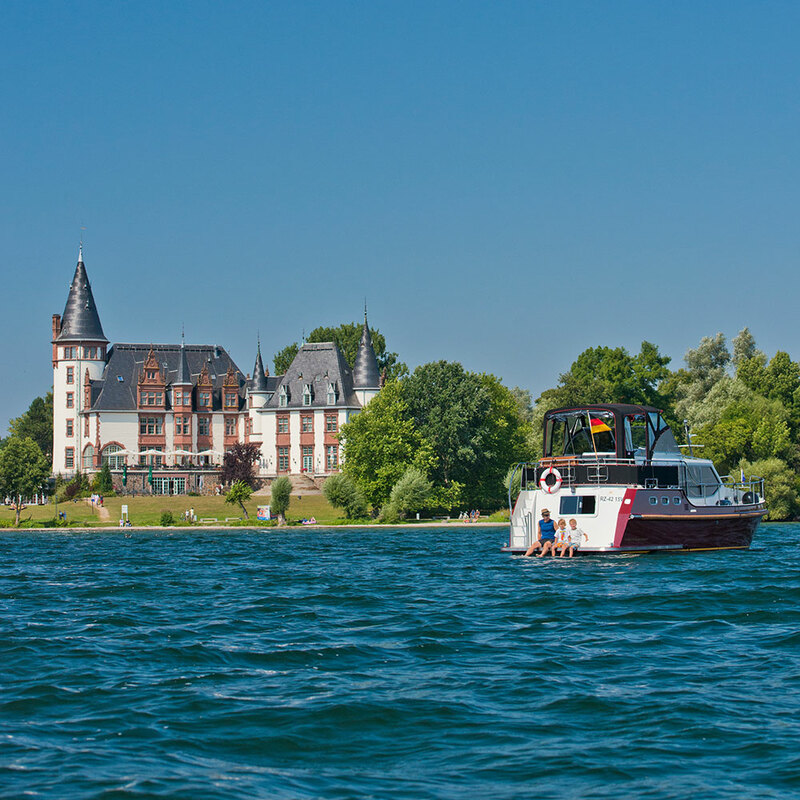 The Mecklenburg Lake District invites you to paddle, sail, dive, swim and enjoy. But which lake is the best for what type of activity? 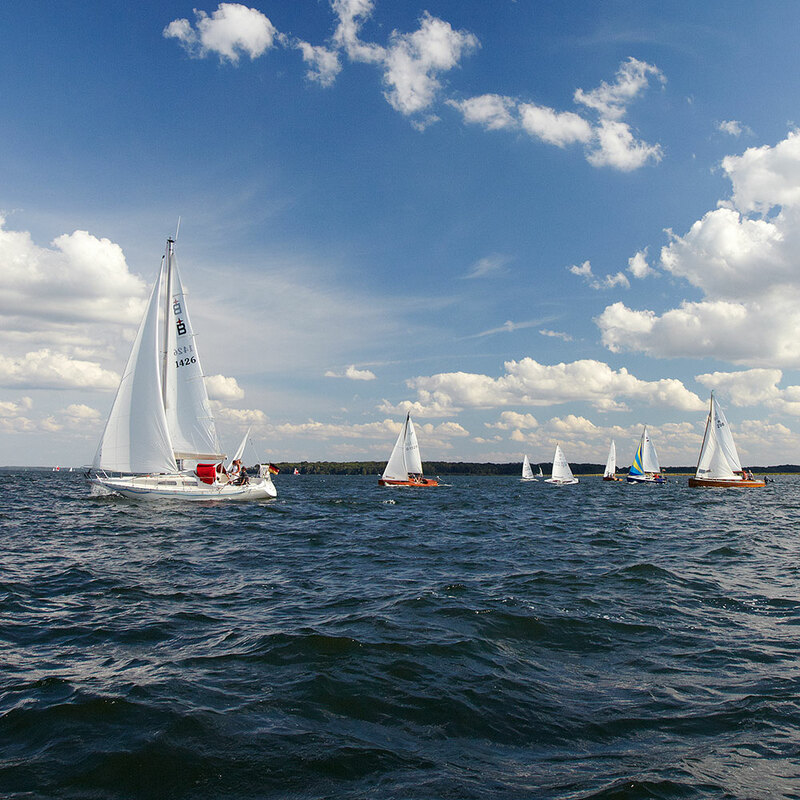 For example, there is often a breeze on Lake Müritz, which means it is perfect for sailors and surfers. Diving is particularly suited in the clear and calm water of the Feldberg lake district and the small lake plateau is a paradise for paddlers. There, most of the lakes are connected through channels or rivers. A houseboat or raft is the best way to explore the region. You can either choose to sleep in a secluded anchorage bay under a star-filled sky, or in a luxury marina in one of the harbour cities. In Europe’s largest networked aquatic sports area, many of the 1,117 lakes are connected through natural rivers and canals. Numerous charter companies rent boats for 2 to 12 persons. 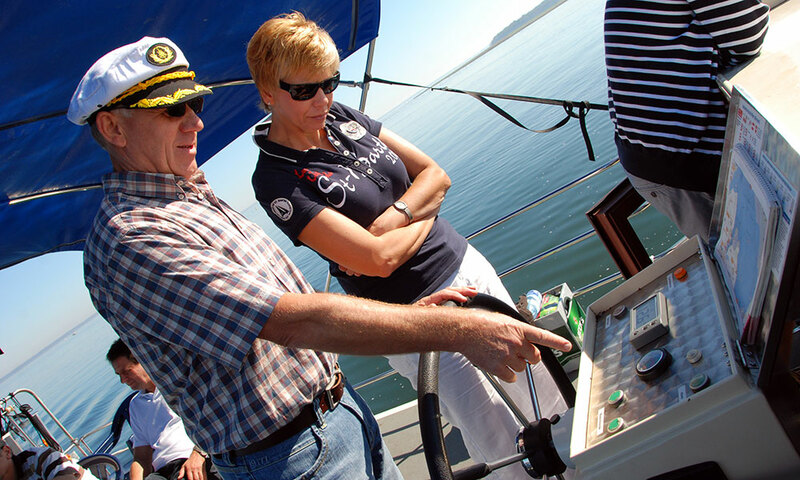 A boating license is not required; instead, you will receive a thorough introduction prior to beginning your journey. Each amateur captain determines their own individual sailing schedule. Whether for one or two weeks or for the entire summer – there are enough possibilities for taking a trip. 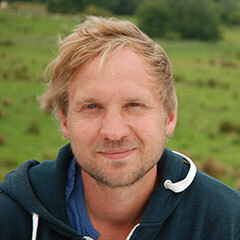 And what’s best: the excellent water quality in the lakes combines boating with swimming. Venice, Southern France, Irish canals. Quite wonderful areas. But for a breakfast looking out across water lilies and thousands of birds in the golden autumn, come to the land of 1000 lakes. 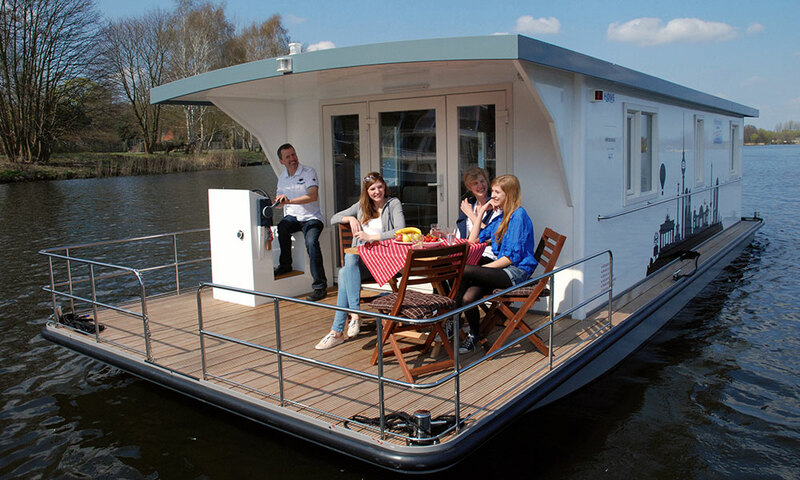 Houseboat is a collective term for motor boats with a living room, a kitchen and a bathroom. The houseboats are your own mobile lodge. The boats are up to 15 meters long and have been elegantly designed. In search of the perfect floor plan, Harald Kuhnle devised the Kormoran series. It has become a trademark of the region and is being built in Rechlin for the whole of Europe. These boats are up to 15 meters long and are sometimes called Dutch or steel yachts. They are pleasant to drive which is important if you are planning a long trip. 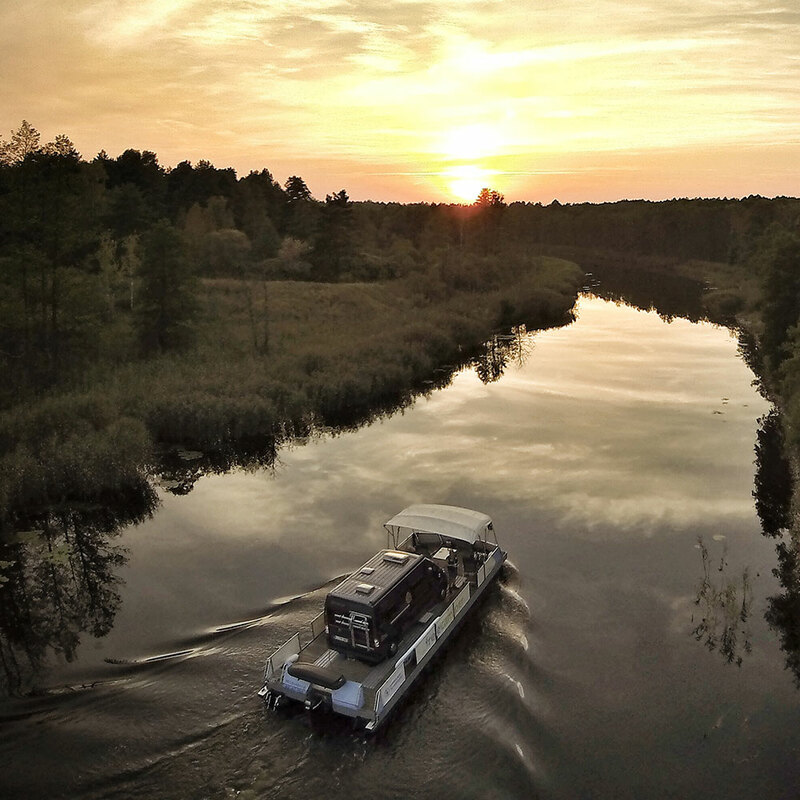 Explore the untouched river landscapes of Mecklenburg: Havel, Elde and Peene. The motor yachts are well equipped and have many traditional features. Camping on the water is all about finding and booking that exclusive pitch on one of the crystal clear lakes. Whether you have a tent, a caravan or a motorhome the best pitches are in high demand. If you don‘t own a caravan, you can easily rent a caravan and raft in a duo which is called a watercamper/freecamper made in Mecklenburg. These Tom Sawyer style wooden rafts are mainly rented out on the smaller lakes. 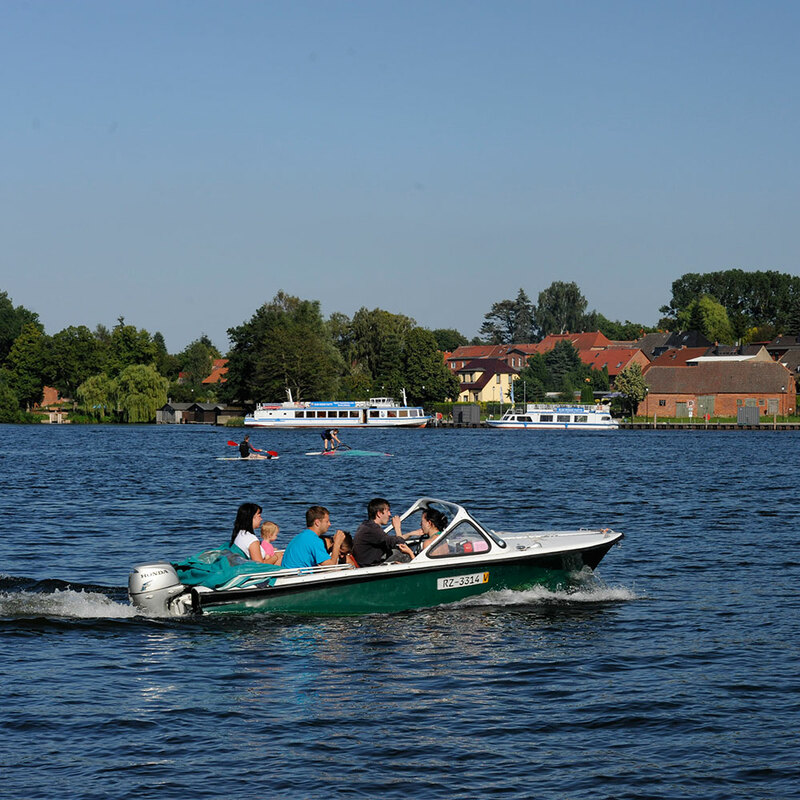 The Müritz or the Kummerow Lake is well known for competitive sailing for catamarans, dinghies and cruisers. There are sailing regattas, places to rent boats and sailing schools for beginners. Traveling sailors love the week-long journey over rivers and lakes by the Binnenrevier. One of the best things is chatting to the harbor masters. Rent a small boat, for a day of swimming, sunbathing and fishing. It’s easy to do. Many hotels and tourist information points provide information on local suppliers. Day boats with engines up to 15 hp are license free. Over 15 hp and you will need a sport boat license. Alternatively, you can always opt for a day course at a sailing school. Every boat on these pages can be chartered without a license. So, yes you can rent it and yes, you can steer. We call it „license-free.“ This „charter certificate regulation“ is available , if you are at least 18 years old and don‘t fall completely on your head. Is boating child‘s play? - Not quite. Your boat rental company will talk through the theory and then show you what to do on the boat. It’s not too much to learn. Don‘t Panic, Captain! Your boating holiday can include having breakfast enjoying the view of magnificent water lilies, enjoying soused herrings from the local fishermen and enjoying a sundowner on the bathing platform or aft deck. A floating holiday home always comes with lake view. All our houseboats come with heating and electricity on board, making you completely independent. All the houseboats have fully equipped kitchens, showers and toilets and are available in different sizes accommodating from 2 to 12 people.